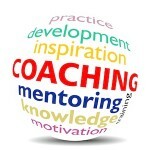 In-Trac offer a creative range of interventions including the use of coaching and/or mentoring. These can either be linked to traditional classroom based learning or as standalone interventions to develop managers and staff. Both strategies involve the use of one-to-one discussions to develop and enhance an individual’s professional work based skills, knowledge or work performance. Strengths based, motivational techniques are used with similar models and skills of questioning, listening, clarifying and reframing to support others to identify and develop their role and professional identity. Both approaches allow for genuine Continuous Professional Development (CPD). Mentoring is often associated more with same profession type role modelling whereby a more experienced and confident worker or manager helps the less experienced learn and develop – often making good use of their own career journey and sharing examples of practice wisdom. Coaching is more normally, short term goal focused work, often with the intention of helping someone change direction or improve workplace performance. 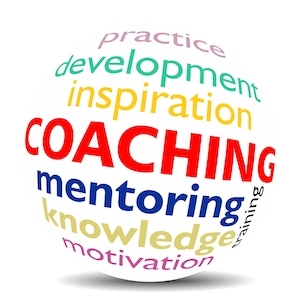 Both coaching and mentoring require development of close but professional trusting relationships whereby the recipient can learn and decide on what areas of their work / career they wish to develop and improve. In-Trac associates are qualified and experienced in this field of personal to professional development in the workplace. Since this area of work is always tailored to specific requirement, please contact us for a discussion on how we can meet your needs.